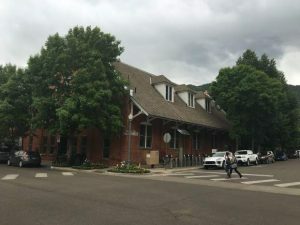 Georgia Hanson, 70, is retiring as CEO and executive director of the Aspen Historical Society after 10 years. The retirement will take place some time between October and December. Outside her New York apartment, a car waited to take her to Air Force One. It was 1967, and she was in her early 20s. President Nixon had ordered a fact-finding mission in South America, a trip led by Nelson Rockefeller and 30 Fortune 500 executives. When the driver buzzed up, she grabbed her suitcase and walked downstairs. “All the barriers that you put on yourself and the barriers that society puts on you and then the unspoken barriers of being a woman, especially then, were what caused my fear,” Hanson said. Boarding the plane, she met a man in his 30s, John Hightower, executive director of the Museum of Modern Art in New York. He asked for her security credentials and said he needed to show her something — something top-secret. He opened a leather briefcase and pushed it toward her. Inside, there was nothing but a bumper sticker. It read, “F— Communism,” with the profanity included. “From that point forward, I started being a colleague instead of a terrified young woman,” said Hanson, who worked as a typist and researcher on the South American tour. Rockefeller lured her away from the magazine, offering $20 an hour in South America. When they returned, Hanson said, Rockefeller wasn’t sure what to do with her. He gave her one final assignment: to fulfill all the promises the executives had made on the trip — things like sending boxes of crayons to children in Paraguay. After finishing her work with Rockefeller, she linked up with her former Syracuse classmate Harley Baldwin, who was busy with various projects in Aspen, including repair of the Brand Building. At the Brand Building, a young couple from Chicago was struggling to operate the Kitchen Shop. “You make 90 percent of your money in December, and you’ve got to love it. And you’ve got to be willing to put up with the offseasons and plan ahead,” Hanson said. When the couple retreated back to Chicago, Hanson took over. “I thought my hard work would put up for my lack of cash,” she said. Relocating the shop to where City Market is today, she found she was just as ill-equipped, eventually filing for bankruptcy in 1983. Four years later, she lost her husband, Monty Taylor, to alcoholism. She had been the “designated driver” in the relationship, taking care of Monty when he had too much to drink. But when he died, it triggered her own addiction. “I had a hole that I filled very quickly with alcohol,” she said. While working at the Continental Inn — which later became the Grand Aspen and then the Hyatt — Hanson met Mohammed Hadid, a Palestinian who owned the property. Hadid helped turn her life around by paying for her rehab. She was sober by 1989, replacing alcohol with work and remarrying, to Andy Hanson, six years later. In the past 25 years, Georgia Hanson has served on the board of directors at the Wheeler Opera House, the Aspen Hall of Fame, the Aspen Buddy Program, Aspen Community Theatre and the Aspen Valley Ski & Snowboard Club. 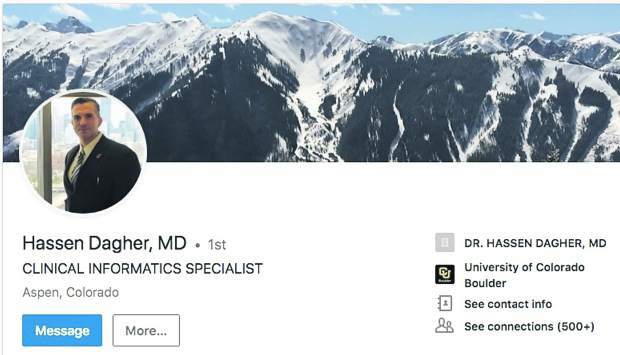 In the late ’80s, she was active in the campaign for approval of the Ritz-Carlton, the first “big-gun political-machine” battle in Aspen. Plans were drawn up to build the tallest hotel Aspen had ever seen. She said the clash over the Ritz was the start of an argument that continues today: progress versus tradition. 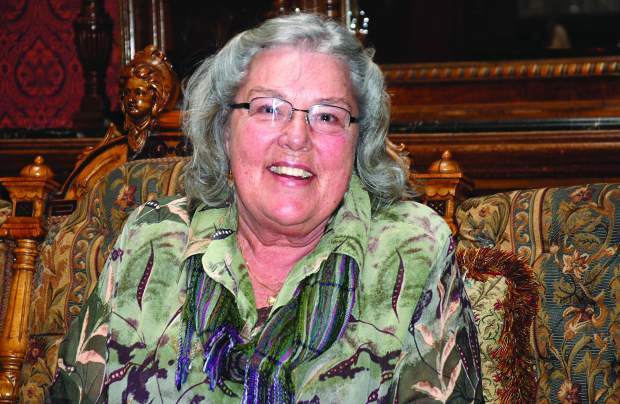 In the ’90s, Hanson served as spokeswoman for the developer of Aspen Highlands. The goal was growth, with retention of the mountain’s “renegade spirit.” In that respect, Hanson said, Highlands fell short. Original plans, Hanson said, called for much higher density. Without density, retail can’t flourish. After leaving the Highlands developer in 2001, she accepted a job at the Aspen Historical Society, an organization that had been through two executive directors in three years. Six weeks into the job, Hanson lobbied for county support and got it. 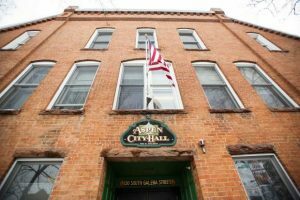 The Historical Society was granted $250,000, which was in part used to hire a consultant. In 2005, the organization earned 63 percent approval for a property tax mill levy. The budget ballooned to $750,000, and three staff members turned into 10. “We took a floundering, almost bankrupt nonprofit and turned it into a flourishing, sustainable institution,” Hanson said. The Historical Society’s most recent project is to upgrade its museum site, which houses more than 24,000 photographs and negatives, 7,000 objects and 6,000 written pieces. These materials will be protected with firewalls. All plumbing and ignition sources, such as electric outlets, will be removed. Ceiling sprinklers, which can be even more damaging than fire, also will be removed. She noted that most small towns don’t have the type of vault being suggested. “But most small towns don’t have the history that we’re preserving,” she said. 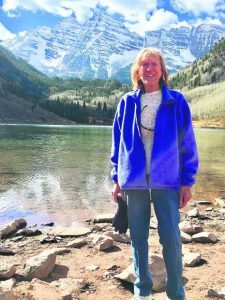 Last week, Hanson announced her retirement from the Aspen Historical Society, which she has headed for the past 10 years. The retirement will take effect between October and December, depending on the new hire. Hanson said her job as a historian has been to offer context and perspective so that the Aspen lifestyle can be preserved. “If you’re speculating, rather than participating as a member of the community, then the community loses,” Hanson said.